Do you want to talk directly to people across Ealing? Then look no further. The Queen of the Suburbs is Ealing's go-to source of things to do in and around Ealing. Created to bring the local community the very best the borough has to offer. We also offer packages that include creating bespoke adverts for businesses that need help creating suitable materials. Every main section, index and guide page contains a number of promotional strips that we reserve for cross-promotional activity and advertising. 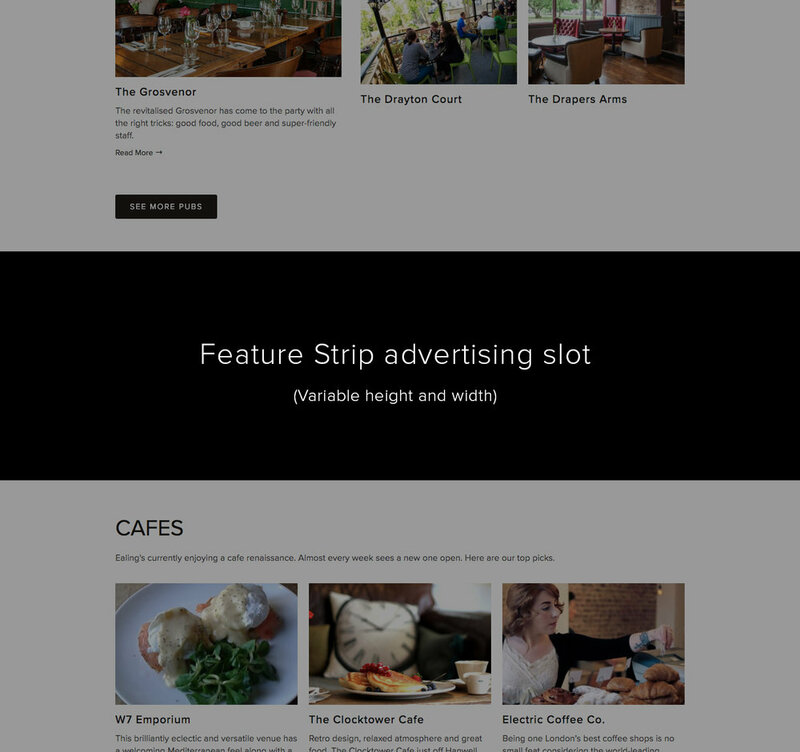 These slots cover the full page width and are variable in height (on request).